The End Times are here, gentle readers. At least they are for Warhammer Fantasy. 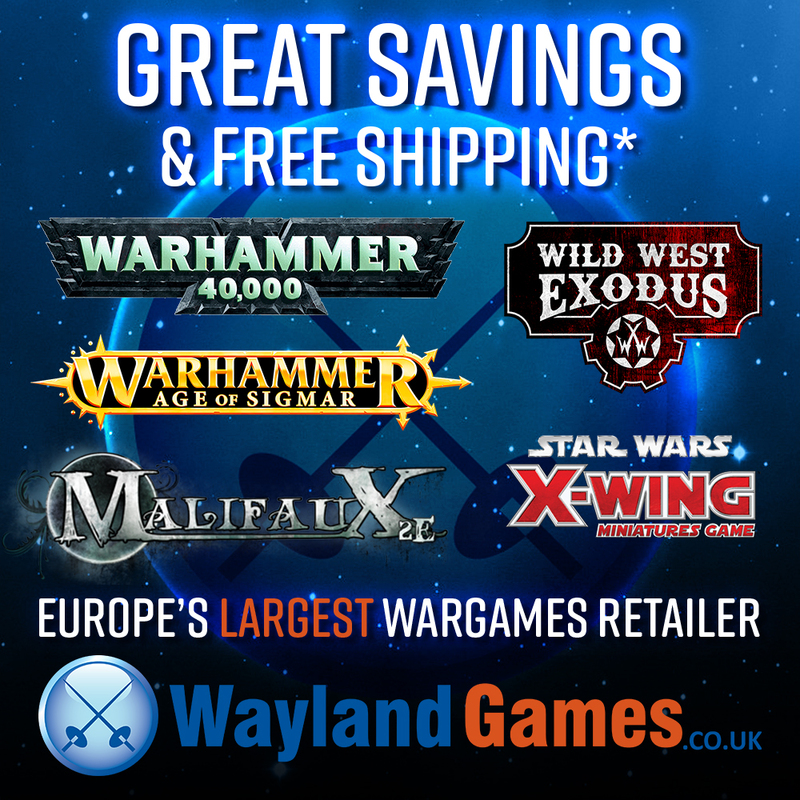 After what feels like forever GW have decided to destroy the Old World in a blaze of glory and, if rumours are to be believed, replace it with dimensional bubbles (no, I don’t know what the hell that means either). Now, I’m not a fantasy player but if I was, I’d be shaking in my army-surplus size tens right now. Will my army still be valid? Can I still use the huge and expensive Glottkin I only just bought? How the fudge do I play a game based on dimensional bubbles? In answer to those questions, no-one knows. Some would argue that Warhammer Fantasy has been stagnant for a good long time and makes comparatively little money, next to 40k. While this may be true, does it need such a dramatic transformation? I for one, have loved the fantasy background of the Old World and whilst I don’t play with the minis I do love a game of Warhammer Fantasy Roleplay. It would be a shame for me to see such a rich world disappear into the void. There are even whispers that this will affect the behemoth that is 40k. Abbadon’s 13th Crusade could finally be coming to fruition. The Eye of Terror might open, spewing forth Chaos in its purest form. The Primarchs may return to finish the Long War that began ten thousand years ago. The Emperor himself, could walk again and the galaxy would shake from his footsteps! Or it might be nothing. Until the End Times finish and GW head office check the spreadsheets, we won’t know that affect this could have. 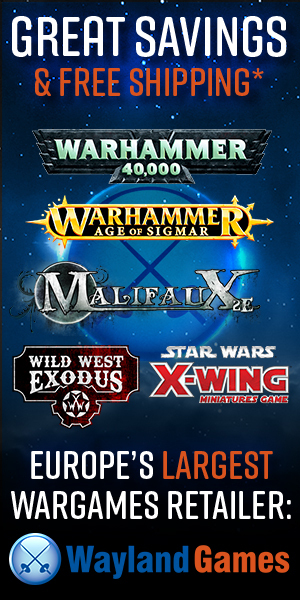 40k has had an unprecedented release schedule since the release of 7th edition and it’s too damn soon for 8th to come out. We may well be reaching an oversaturation point where gamers just don’t have the time and money to keep up but GW can’t afford not to push constantly new products. On the other hand, we’ve seen far to many games wither and die over the years. One that stands out to me is “The Great Rail Wars”, based on the “Deadlands” rpg. A fun game with a great background and some fantastic ideas. You could transfer characters from the rpg into the tabletop game, there was a campaign where players didn’t know the full extent of each others plans and they even made a crossover with White Wolf’s “Savage West”. After a while though, it just fell by the wayside. No new sculpts, no new rules and people moved on without new shinys to keep their attention. The sad demise of a great game. Without innovation, renewal and most importantly new products a game can easily go the way of the dodo. Could Warhammer Fantasy rise like a weird quantum-entangled phoenix from the warp-smashed ashes of the Old World? Only time will tell. How do you feel about this? Will you miss the Old World? Do you even care? Let us know in the comments and the best reply will win a smug feeling of self importance. A good point, and I totally agree regarding RPGs. We are playing Cyberpunk 2020, Star Trek (1985?) and I’ll be running Fading Suns, all of which are out of print. You can create any world you like in these games and I’m sure we’ll keep on doing so. The same goes for boardgames (obviously) and CCGs to an extent. What I’m really talking about is wargames. In an RPG the GM has full creative control (really it’s a joint process with the players but you know what I mean), in a wargame there are groups of players who may not agree with the way to play if it’s not supported. I think wargamers tend to be more involved of the wider scope of their game, there is an awareness that people all over the world are playing the same game as us and in theory we could challenge any one of them and be using the same rules. We generally follow the most recent incarnation of a game, I think it would be very hard for someone to bring Squats back into a game without some serious proxying of models. Sad as it may be, if a wargame is unsupported it tends to fade out over time as people get distracted by newer games with better products. I love the Great Rail Wars but I will admit that those models look like pewter turds next to todays sculpts. 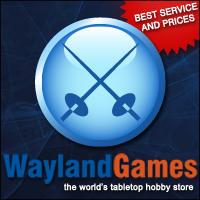 The issue concerning WFB is really that although you could continue to play the current rules and ignore the post-End Times continuity, what does your gaming group decide to do? You might have to face that fewer people will play you, your army might not be legal at your local club or gaming store and all the support you might have via the interwebs could be lost. TL;DR: I agree with you about RPGs but if a wargame company doesn’t support its game, it’ll end up at the back of the wardrobe. Me? I travel the world competing at the highest level…of ineptitude. Every one should play how they want but in an RPG that is all determined by the GM, in a wargame we all have to agree. Harder than you think. Of course we are now creating a fairly comprehensive set of house rules for 40k so I guess it can’t be that hard. I’m sure you’ll see the traumatic outcome on this blog.